This high-tech mouse pad is a great compliment to any office desk top, with the convenience of a 4-port hub built right in! No longer will you have a lack of available USB ports or struggle with trying to find them on the back of your computer. 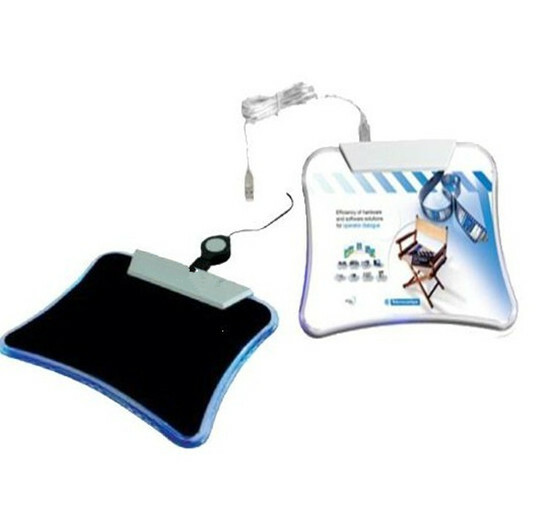 The mouse pad is embedded with blue LED lights giving off a nice soft glow effect. This mouse pad is an affordable techie gift that is simple to use and is a must have for anyone with a computer.